We’d asked ourselves this question before, and had our fair share of initiatives that didn’t result in useful change. Looking back, we were able to pinpoint our biggest mistakes: we’d been starting with a muddy vision, and were trying to solve an ill-defined problem. These insights really helped us change our approach. 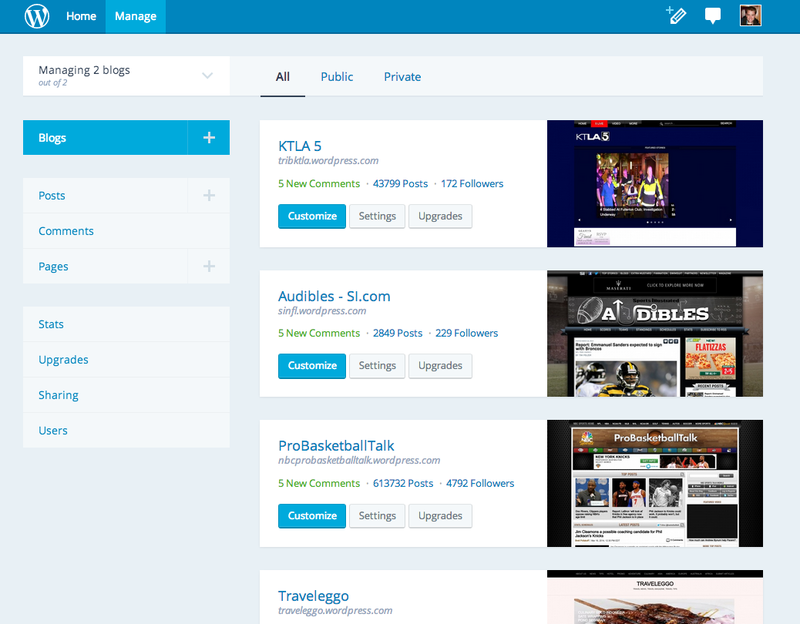 One of the original Calypso prototype screens, listing all of your WordPress sites. Calypso, the codename for this new WordPress admin interface project, started differently. To present a clear vision, we built an aspirational HTML/CSS design prototype — based on clearly defined product goals — that allowed us to imagine what a new WordPress.com could look like when complete. We knew it would change over time as we launched parts to our users, but the vision provided all of Automattic with something to aim for and get excited about. One great change came out of building an early design prototype: improved collaboration using GitHub. Calypso prototyping was done collaboratively between a handful of designers in GitHub; although many of us had long used GitHub for personal projects it was relatively new for internal projects, which historically used Trac for most project management and bug tracking. Using GitHub helped us see how much easier internal collaboration could be, and how to allow for much greater feedback on individual work being done. 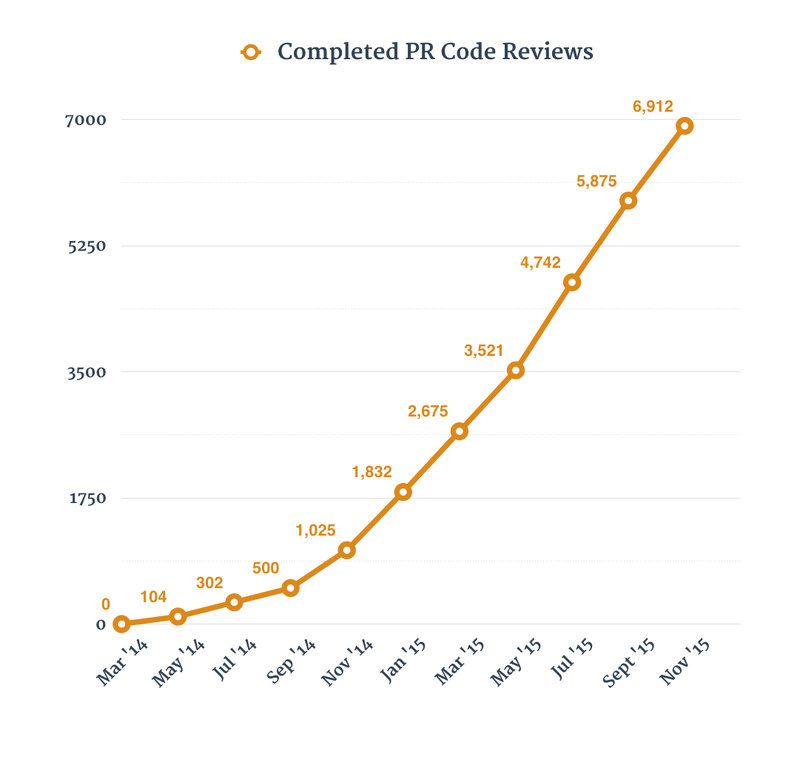 Peer code reviews show no sign of slowing up and are now widely accepted. What started as a team of seven people working on Calypso quickly spread to a cross-section of teams with ten, then 14, then 20 Automatticians actively working in the Calypso codebase. Two months after the launch of the first Calypso-powered feature on WordPress.com, we had 40 contributors working on Calypso across five different teams. We iterated over the next year with the “release early, release often” Automattic mindset, launching 40 distinct Calypso-powered features on WordPress.com with over 100 individual contributors. One of our Calypso developer hangouts in progress, and Team IO, who built the Calypso editor, at our all-company Grand Meetup in October. We’re proud to be able to open source all of the hard work we’ve put in, and to continue to build on the product in an open way. You can read more about opening up Calypso development on our CEO Matt Mullenweg’s site. Over the next few months, we’ll publish more in-depth posts exploring the technicals and workflows behind Calypso: how we manage our own unique GitHub flows, how we’ve used other popular open source libraries like React and concepts like Flux, and our experiences bundling and launching native app clients. Keep an eye out for those by following this blog (in the bottom right), and in the meantime, check out the active Calypso codebase as we continue to iterate on it.